LS Gallegos was founded in 1988, as a Public Transportation Consultancy with a single goal in mind: “To assist Transportation Organizations and improve their potential for successfully delivering large and complex transportation capital improvement projects.” LS Gallegos believes success equates to meeting established cost, schedule, quality, and stakeholder goals and objectives. LS Gallegos services include Program and Project Management Consulting and On-site, Project Management and Construction Management Support Services. Our customers include The Federal Transit Administration (FTA), AMTRAK, Local Public Transit Agencies, Airport Authorities, State Departments of Transportation, and Local Municipal Public Works Departments. LS Gallegos recognizes that highly skilled people and effective processes are necessary elements for successful project delivery. We also understand that successful project delivery is more probable when project executives and project management, technical, and administrative personnel can operate in an environment where there is, effective communication, timely decision-making, and high levels of cooperation, and team effort by all project participants. This type of constructive environment exists when there are well thought-out Project Management Plans, rigorous Cost and Schedule Management, formal Project Risk Evaluation Programs, rigorously enforced Quality Management Programs, and structured Team Building, and Partnering Programs. 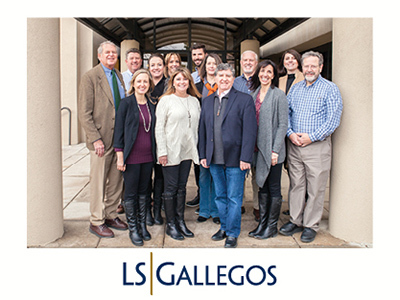 LS Gallegos professionals bring our clients extensive expertise, skills, real-world experiences and lessons learned relating to these knowledge areas. LS Gallegos Program and Project Management Consultants are experts in Strategic Project Planning, Contracting Strategies, Alternative Contract Delivery Methods, Project Management Plans and Procedures, Cost Control, Schedule Management, Risk Management, Team Building, Partnering, Project Management Training, Project Management Audits, and Project Management Oversight. Our On-site Project and Construction Management personnel are seasoned professionals working in capacities as Project Managers, Cost Estimators, Project Schedulers, Project Control Specialists, Contract/Procurement Administrators, Risk Managers, Document Control Specialists, Administrative Assistants, and Construction Field Inspectors. LS Gallegos provides on-site professionals to deliver Project Management and Construction Management Support Services from project offices located in Denver, CO, Los Angeles, CA, San Francisco, CA, Chicago, IL, Philadelphia, PA and Houston, TX. LS Gallegos promotes a working environment where all of our employees can enjoy their work and grow in their respective disciplines. LS Gallegos is not your average professional services firm. The heart of LS Gallegos is its people. Our leadership knows it, our employees believe it, and our clients recognize it. Whether an employee is beginning his/her career and can benefit from a dedicated mentor, or is a seasoned professional looking for an interesting, challenging and rewarding work experience. LS Gallegos provides a collaborative environment with unparalleled support to help every employee reach his/her career goals. LS Gallegos has a giving spirit which extends beyond the office. We encourage our employees to be involved by volunteering their time and efforts to support local causes that benefit respective communities. LS Gallegos is a Hispanic Owned Company based in Centennial, CO and is a DBE/MBE firm certified in multiple states and municipalities across the United States.